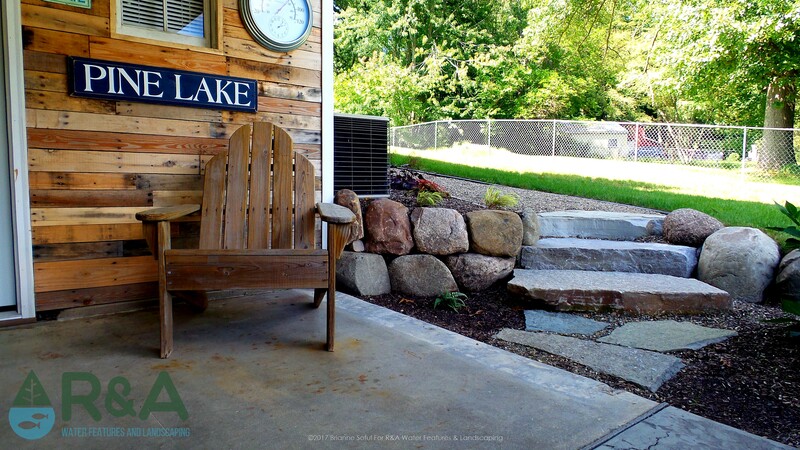 Like many of our clients, they discovered us at the Kalamazoo Home & Garden Expo. These Pink Lake residents love to entertain, but their current space was limited and was not as refined as they would have liked. 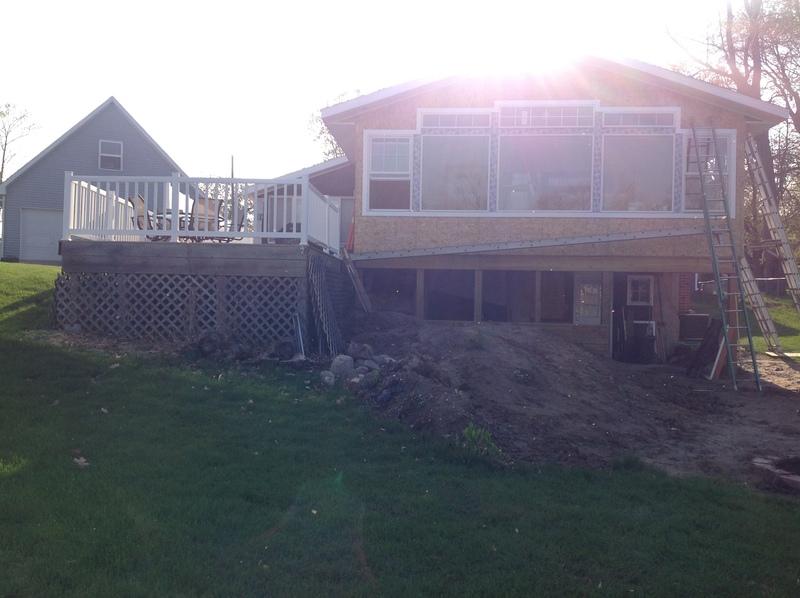 Since they were in the midst of an entire home makeover (new siding, decking, windows, etc. 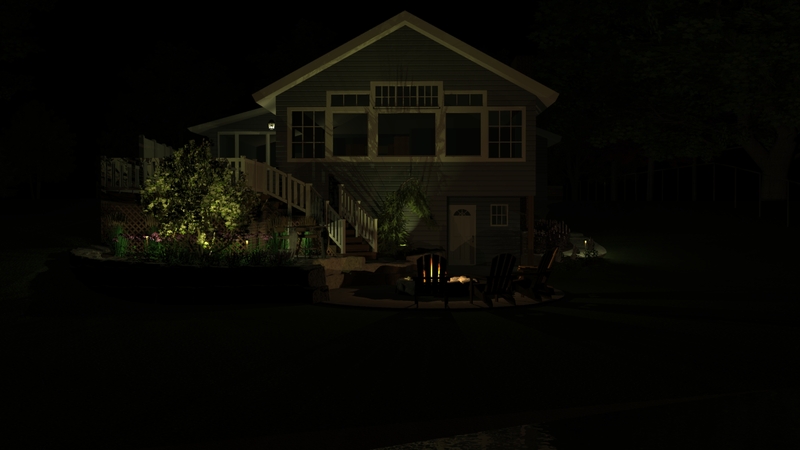 ), they thought it would be the perfect time to also renovate their landscape and increase their entertaining space. 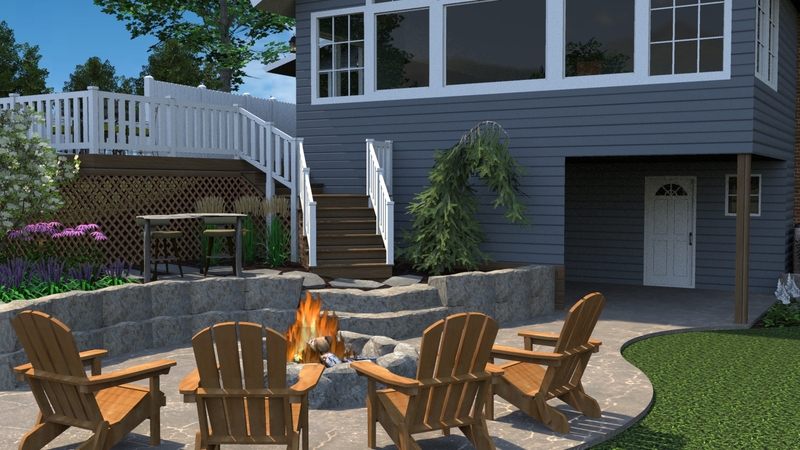 We started with a 3D landscape design, which was important to these homeowners so they could visualize what their property could look like. After agreeing on the concept that would fit their style and budget best, we were able to start building right away, since most of the demolition had already been done. 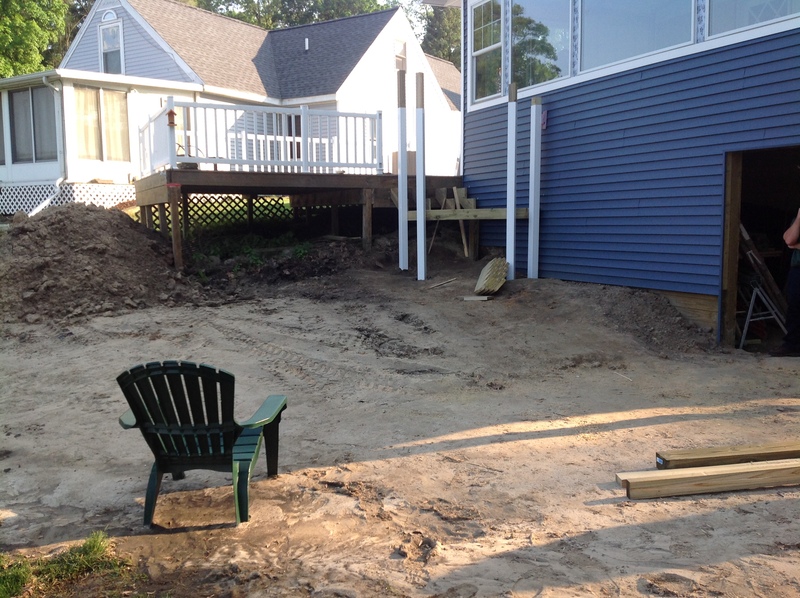 We started first with a stamped concrete patio with a small retaining wall, as well as steps up to the deck, along the edge of the stamped concrete patio. 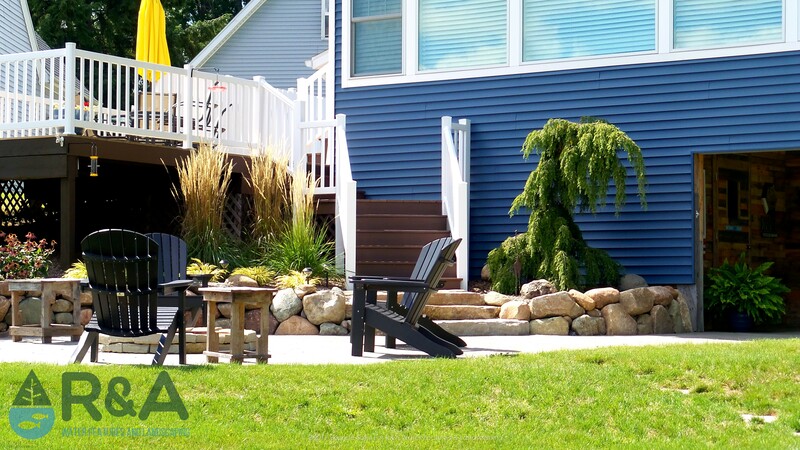 This retaining wall also acted as additional space for sitting, what we call a seat wall or sitting wall. 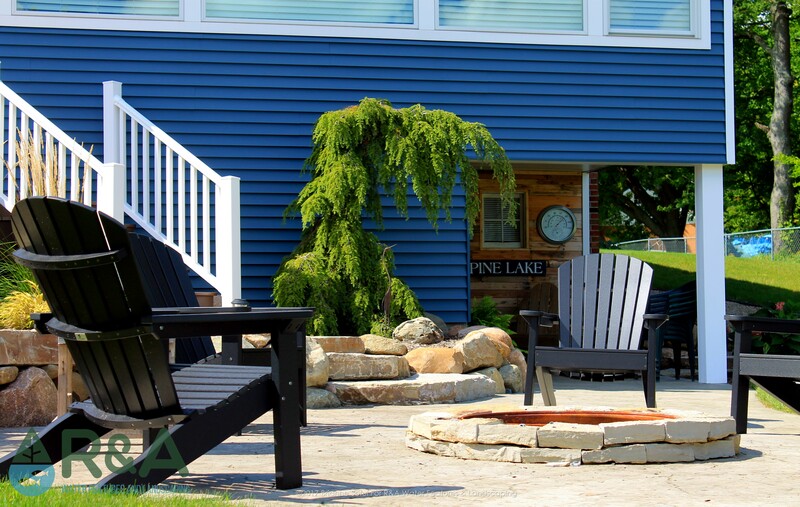 A custom, yet simple, fire pit was installed for friends and family to gather around and enjoy those cool lake evenings. 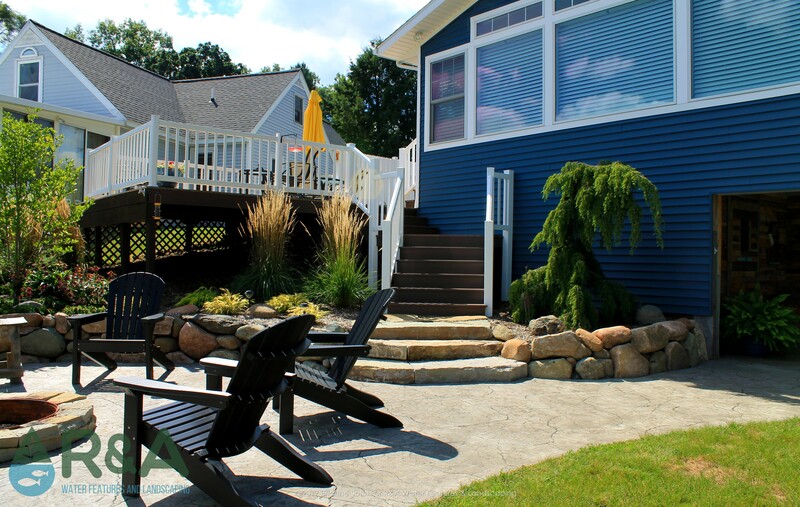 The landscape was finished with some wonderful low maintenance plants which completed the overall design.